Get ready to prove yourself with this one! 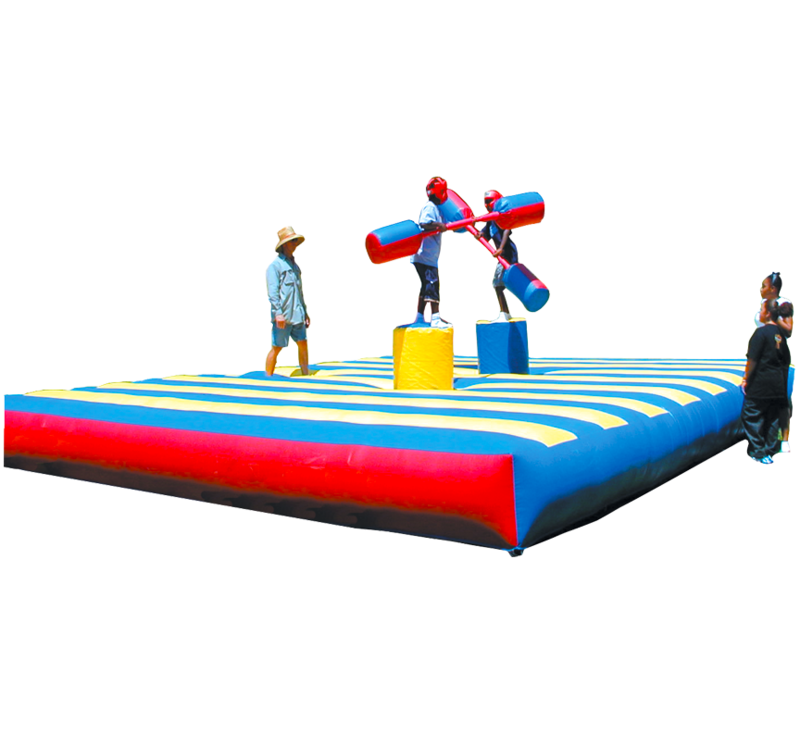 Two people, four feet in the air, jousting poles in hand, and at any time are two feet away from certain defeat. The crowd hushes as the action is about to start and then... BAM! The crowd goes nuts and everyone is laughing and having a great time. 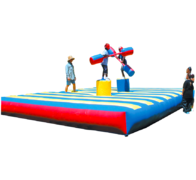 Do NOT try to have a successful event without this item! CAPACITY: 2 participants at one time. An adult must be present at all times while unit is in use. ELECTRICAL: Requires (2) 10-15amp outlet (Note: will not work on GFI outlet).